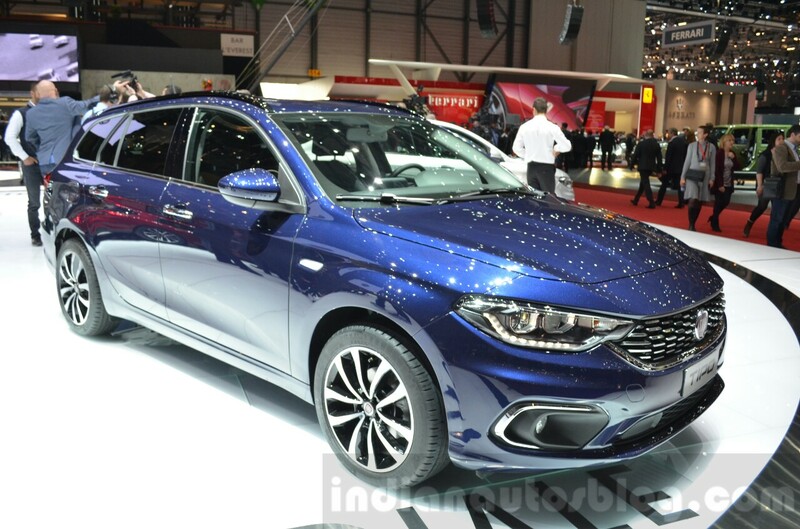 Second bodystyle of the Fiat Tipo range. Fiat has unveiled the estate and hatchback versions of the Fiat Tipo at the 2016 Geneva Motor Show today. 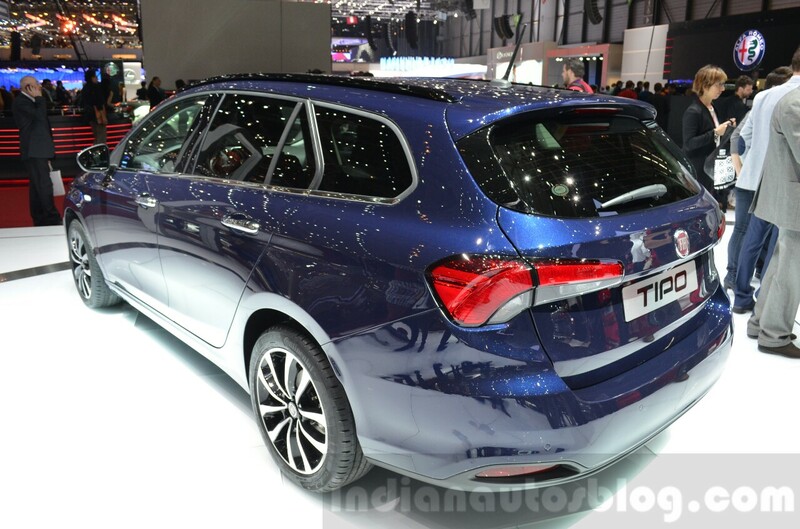 The wagon bodystyle is expected to widen the appeal of the Tipo range in the European market. The Fiat Tipo Estate is 20 mm longer than the Fiat Tipo hatchback, which measures 4.37 meters. It sports a long pair of taillamps that extend to the side, subtle rear spoiler and concealed exhaust pipes. The front-end looks largely identical to the Fiat Tipo sedan, save for a slight redesign in the bumper and LED DRLs in the headlamps. 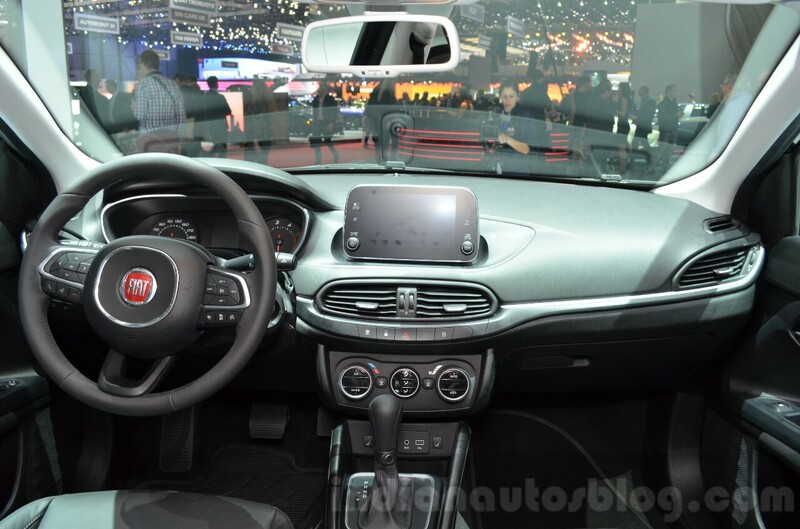 Inside, the Tipo estate features a contemporary design with a new single-pod instrument cluster housing a large MID, three-spoke multifunction steering wheel, a DAB radio, Bluetooth music system and power operated mirrors as standard. Top-end models will come equipped with a free-standing UConnect infotainment display atop the dashboard and auto dimming rear view mirror. The boot capacity is rated at 520 liters, and can carry objects up to 1.8 meter long with 60:40 split seats. The car's engine lineup includes 95 hp 1.3-liter and 120 hp 1.6-liter Multijet diesel engines, as well as petrol options such as the 110 hp 1.6-liter E-Torq and 95 hp 1.4-liter 16v, and a 120 hp 1.4L turbo petrol engines. Depending on the variant chosen, transmission options such as 5-speed manual, 6-speed manual, 6-speed automatic (1.6 petrol only) or 6-speed dual clutch (1.6 diesel only) are available for the Fiat Tipo estate.